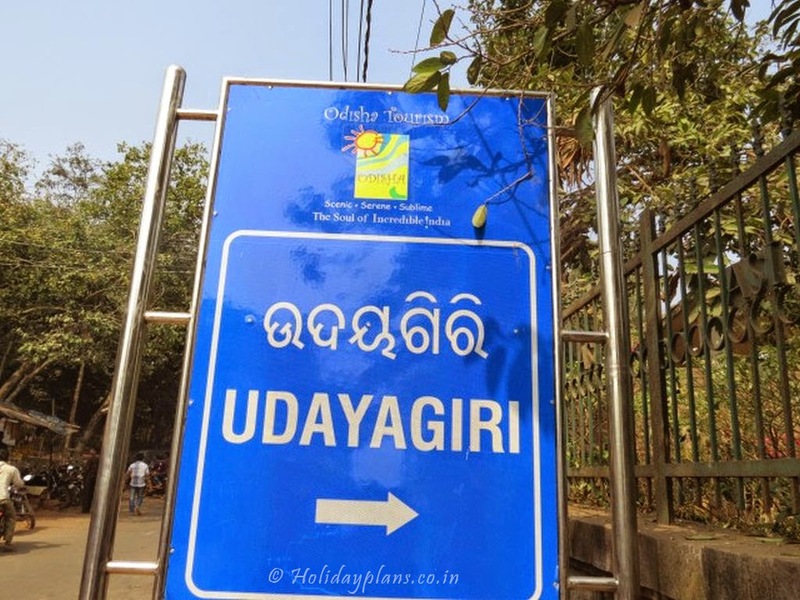 Home » Bhubaneshwar » Dhauligiri hills » Kalinga Empire » Lingaraja Temple » Nandankanan Zoological Park » Odisha » Raghurajpur » RajaRani Temple » Shanti Stupa » Udaygiri » Bhubaneshwar – The Capital of Odisha! 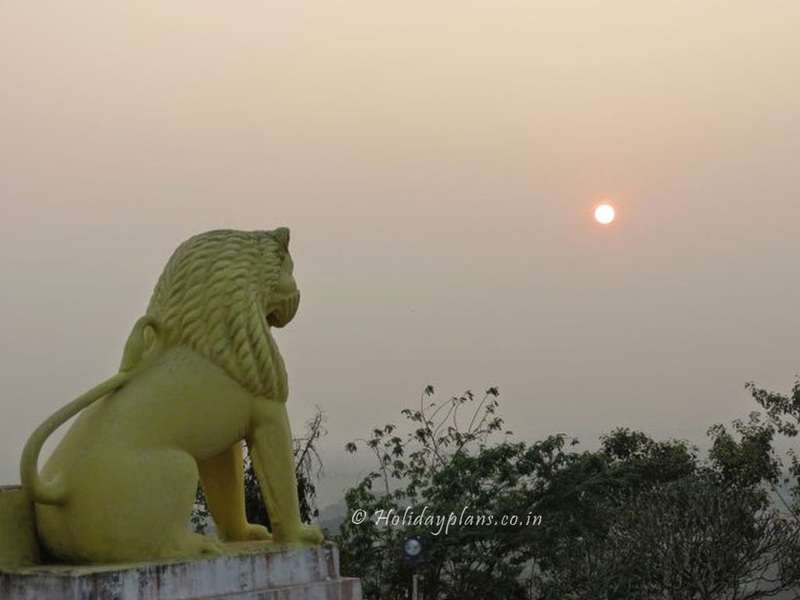 Bhubaneshwar – The Capital of Odisha! 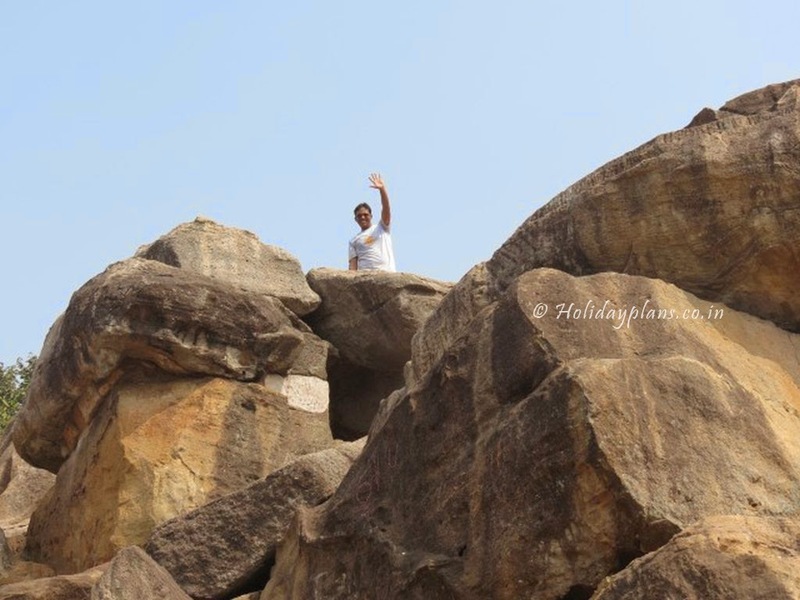 We have just visited the most surprising and talented village of Odisha as well as India – Raghurajpur. The art works done by the craftsmen of this heritage village is just amazing. We were headed towards Bhubaneshwar now. 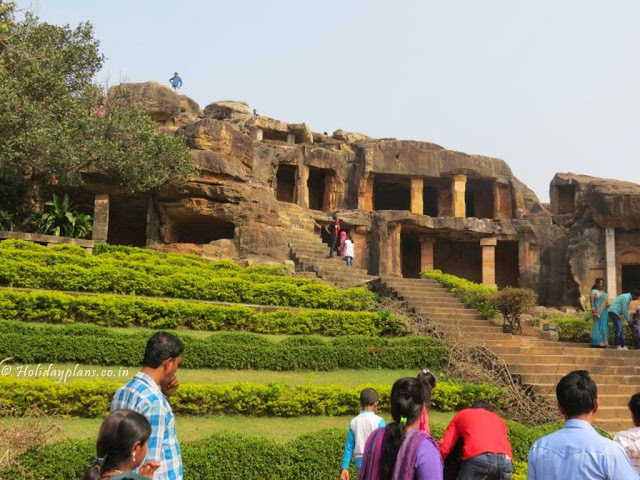 I had heard and studied about how Bhubaneshwar was the center during the reign of Kalinga Empire. Also that the war which transformed “Ashoka – the great” was fought around Bhubaneshwar only. 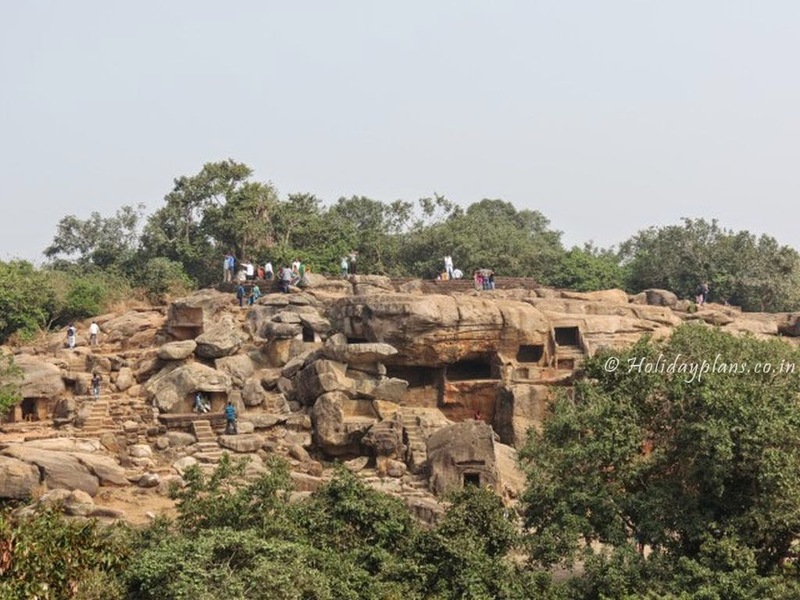 I also found that the remains of some of the caves dating back to Ashoka’s time are still present there. I was looking forward to visit the same. Our driver informed us that Dhauligiri hills or Dhauli hills will come in our way as it is situated 8kms south of main city. We agreed upon visiting the place. 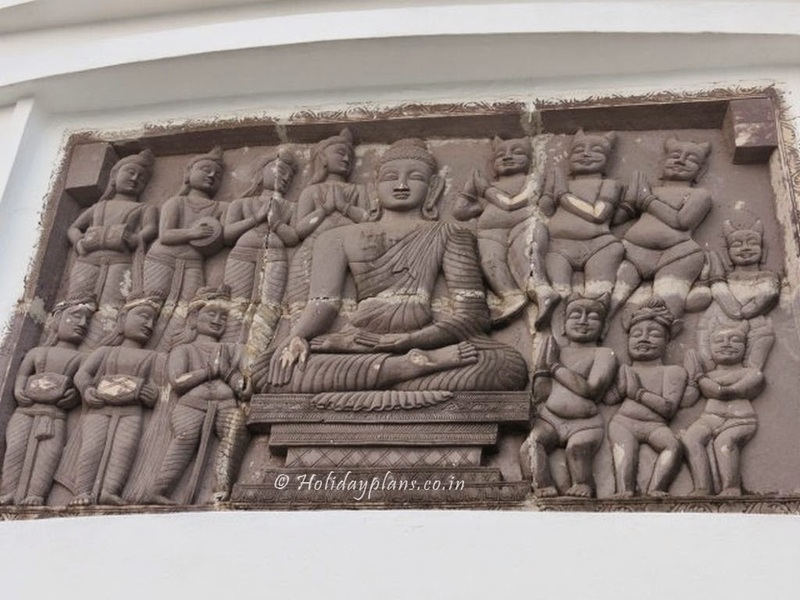 There is a Shanti Stupa or peace pagoda located atop the hill which is splendid. These hills are situated on the banks of River Daya. 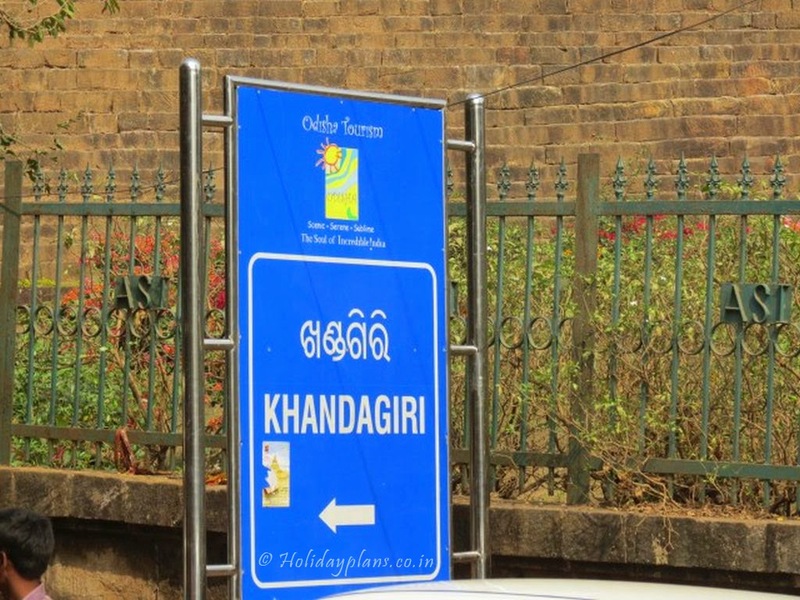 It is believed that this place was the actual battlefield of the Epic Kalinga War. It is said that because of the bloodbath, the water of the river turned red which in turn made Ashoka understand the gloomiest side of battle. He then converted to Buddhist and became a peace propagator. Later with his help this place was developed into a Buddhist peace centre. It was the time of sunset and the setting sun was transferring a golden soothing effect to the white walls of Stupa. It was as peaceful environment as it could get. We sat there gazed upon the sunset from the top, acknowledged the beauty of the pagoda. It looked like that the time had stopped there. I am attaching few pictures for you. It was already dark by the time we got free from Dhauligiri. We rested for the day in our hotel in Bhubaneshwar. 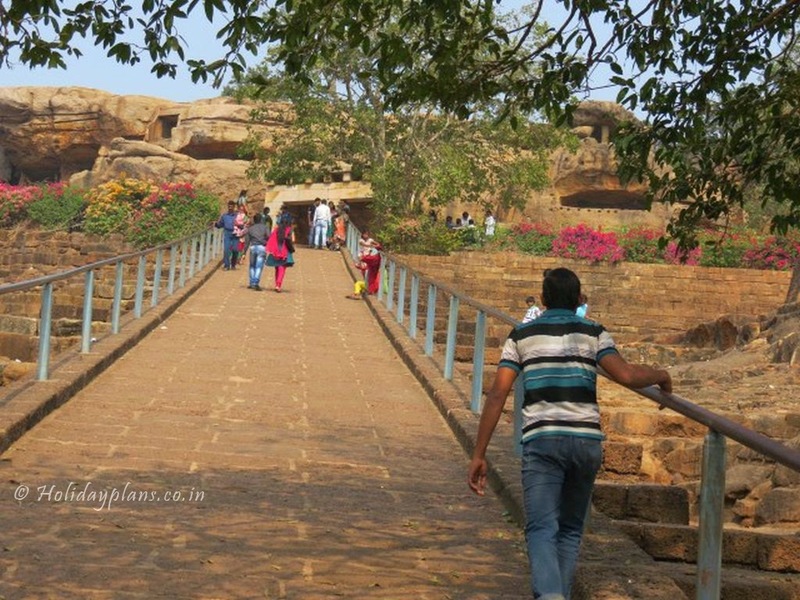 We had kept full next day for the local Bhubaneshwar sightseeing, in particular the caves of Udayagiri and Khandagiri. 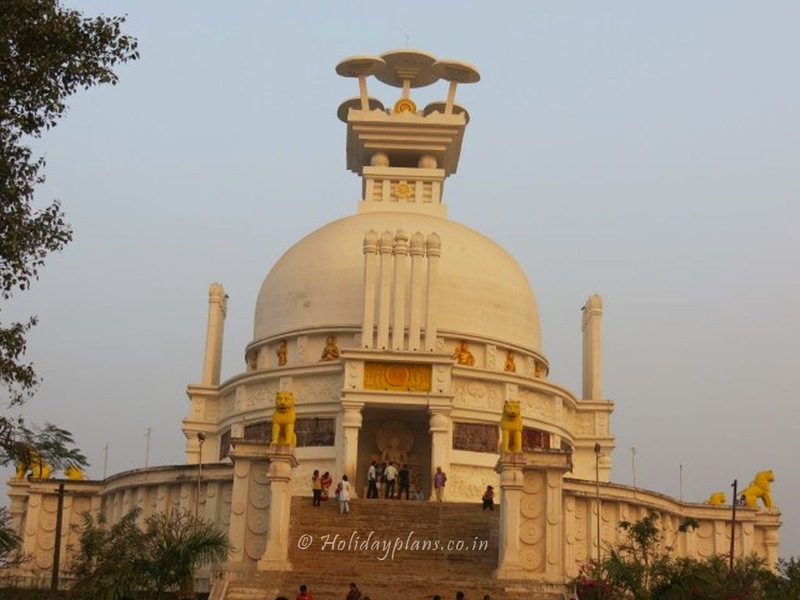 Dhauligiri hills or Dhauli hills are situated on two different hills separated by a narrow road in between. They are situated 6km out of the city. Their creation dates back to 2nd Century AD during the reign of King Kharavela of Chedi Dynasty. 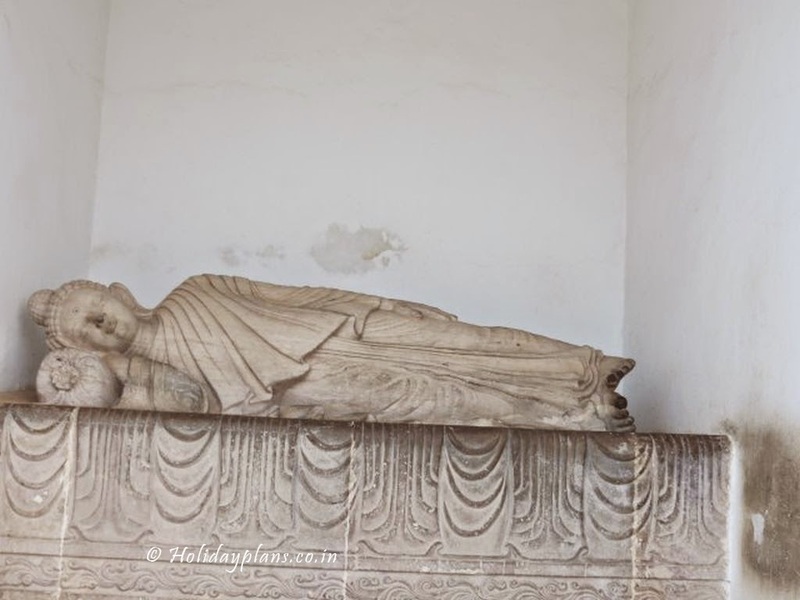 Then these were carved out as residential places for Jain Monks, because of which they are also referred to as “The Once School of Monks”. 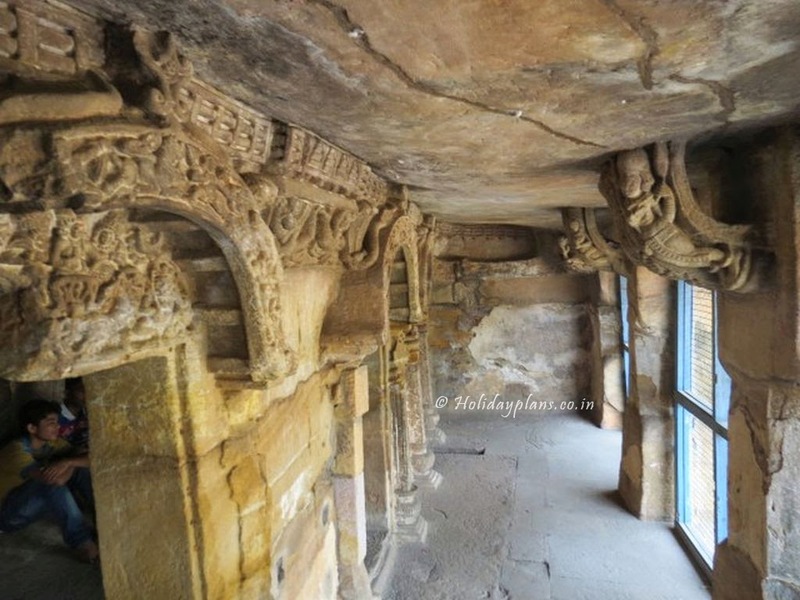 Discovered in 1825, these caves have beautiful carvings inside them which reveal a lot about the time they were built. The caves are open from sunrise to sunset and a nominal entry fee of Rs. 5 is charged from Indians. There are in total 18 caves in Udayagiri and 15 caves in Khandagiri. 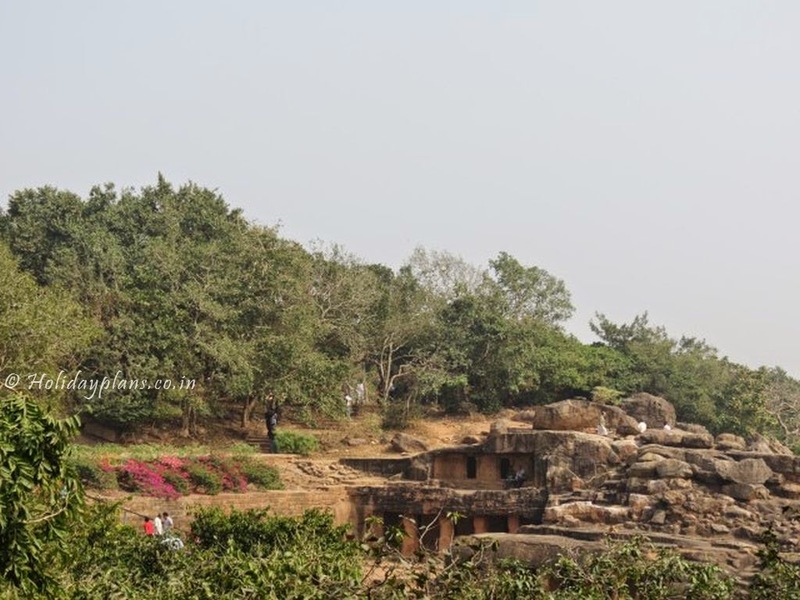 While most of the caves are single storied, few of them in Udayagiri are double storied too. The caves rise from the base till the top of the hill. The route to top of the hill goes through a terrain where you can spot lot of “Langoors”. They are very friendly and don’t mean any harm to anyone. 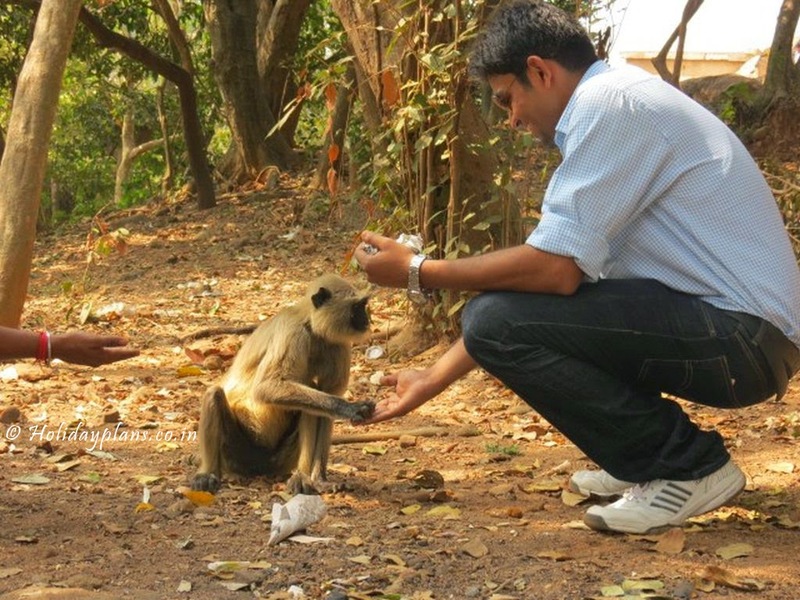 Instead if you offer them nuts or something to eat, they happily take them. We fed a few and moved forward. Visiting the caves dating back to 2nd century was one awesome experience for me. I enjoyed every bit of it. We spent so much time at the caves that we almost forgot that we have more places to visit. 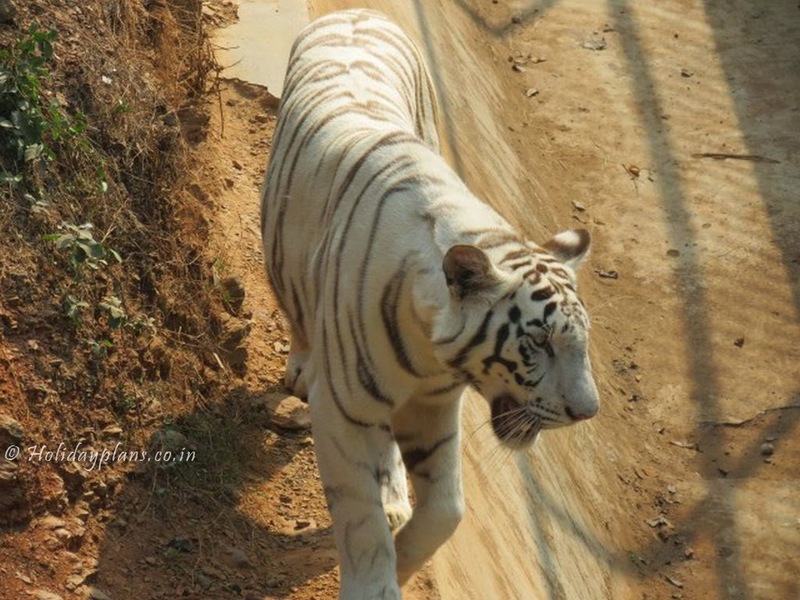 Since we were running out of time, we decided to choose Nandankanan Zoological Park as our next destination as the white tiger and orangutan in the park are a lot talked about. It took us around half an hour to reach the park. 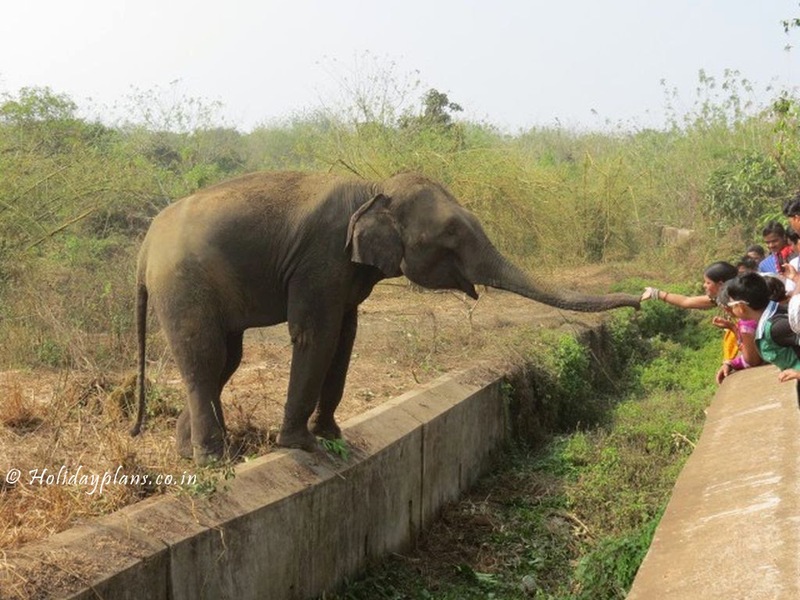 There was a long line at the ticket counter as it was Sunday and all the locals and few school groups have rushed in to see their favourite animals. Entry fee was Rs. 20 for Indians. 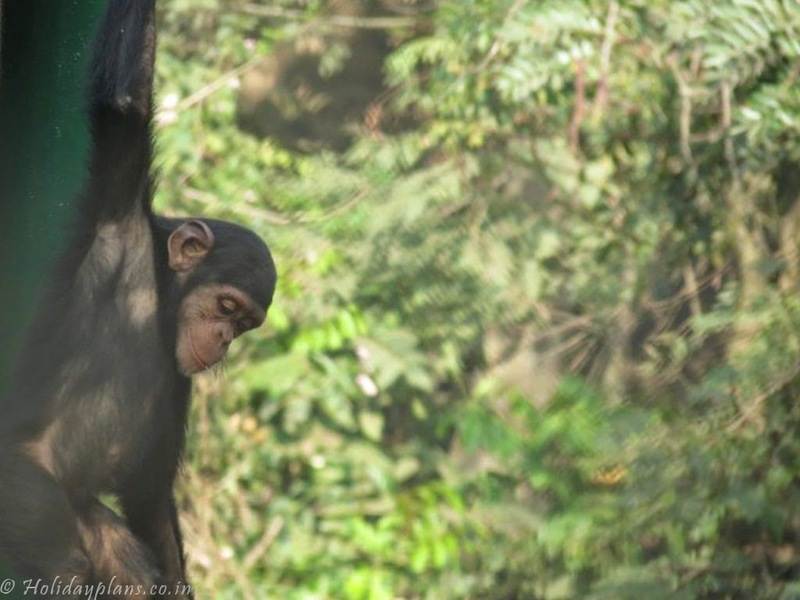 Timings of the zoo are 8 AM – 5 PM. 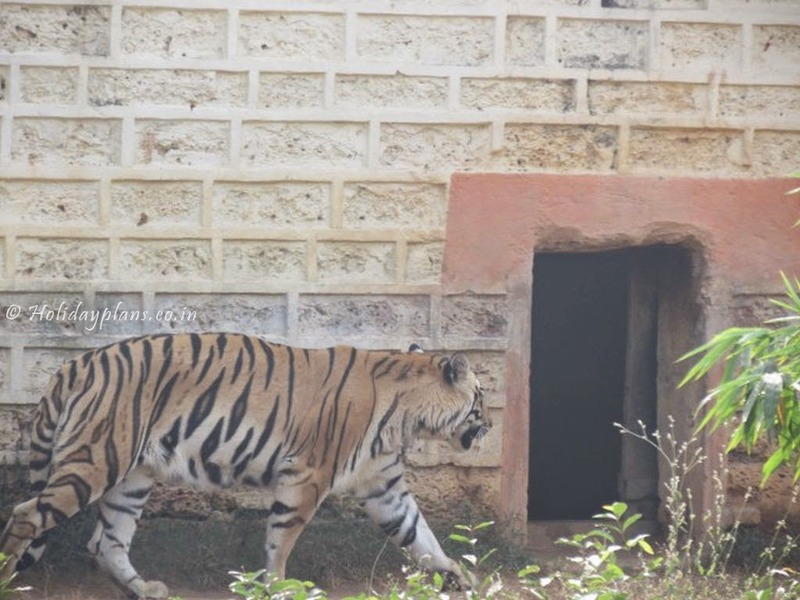 I learnt that it is the only zoo from India to be registered with World Association for Zoos and Aquariums for its low death rate. 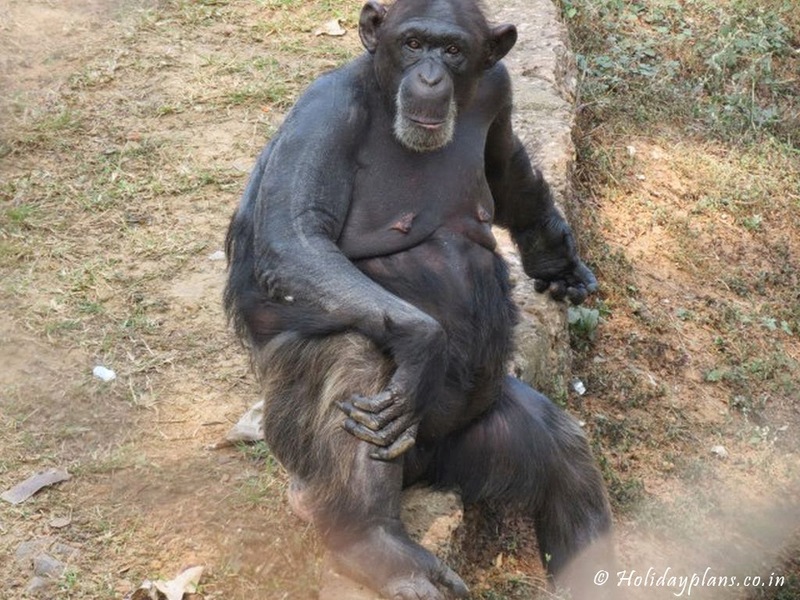 This place is spread over a large area and all the animals are kept in their natural habitat and less of cage. 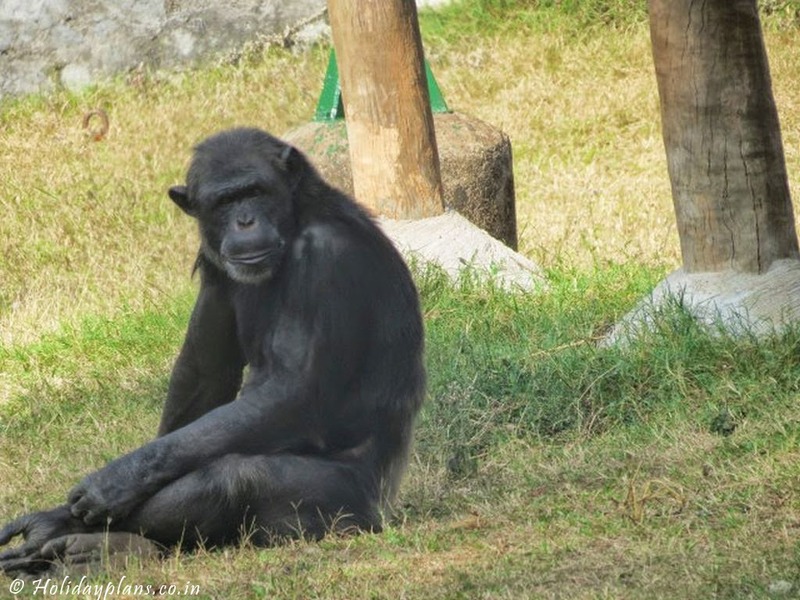 As we finished the tour of the large zoo it was almost dark and only few hours were left for our flight to Delhi. We had to rush towards the airport to catch the flight back. 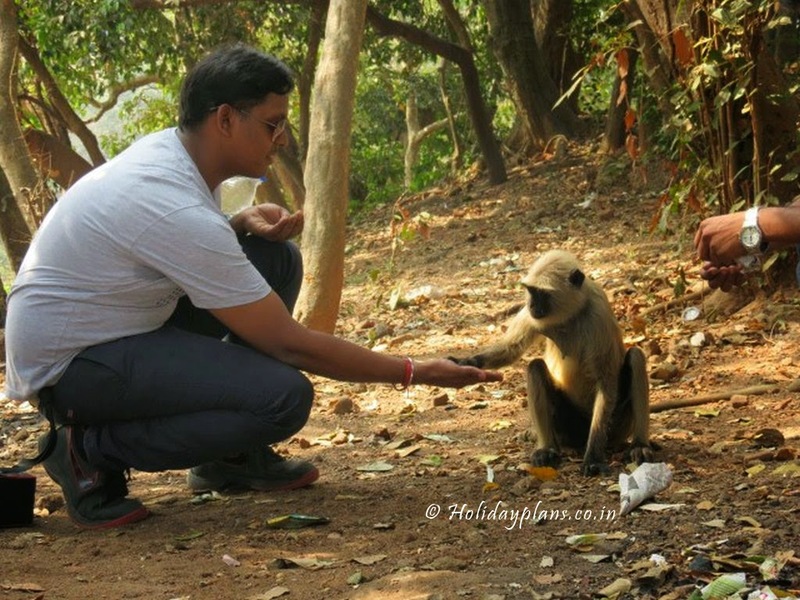 We missed out on a few places in Bhubaneshwar like Lingaraja Temple, RajaRani Temple and few more of temples. 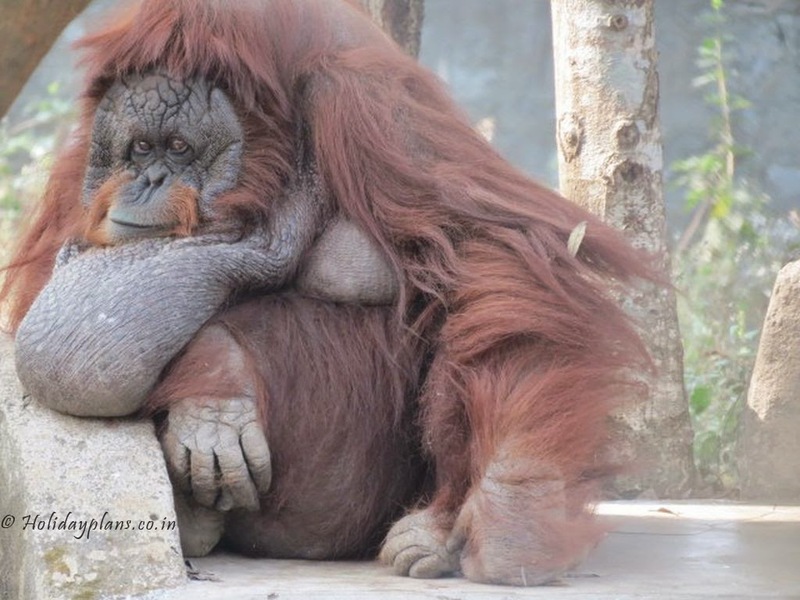 But the way my vacation had gone was completely different from any other vacation. This part of the country is so separated from other parts yet amalgamated in the mainland. Every time I take a trip to any part of the country I get reminded of “Unity in Diversity” phrase that is repeatedly mentioned for India. Brilliant it is! 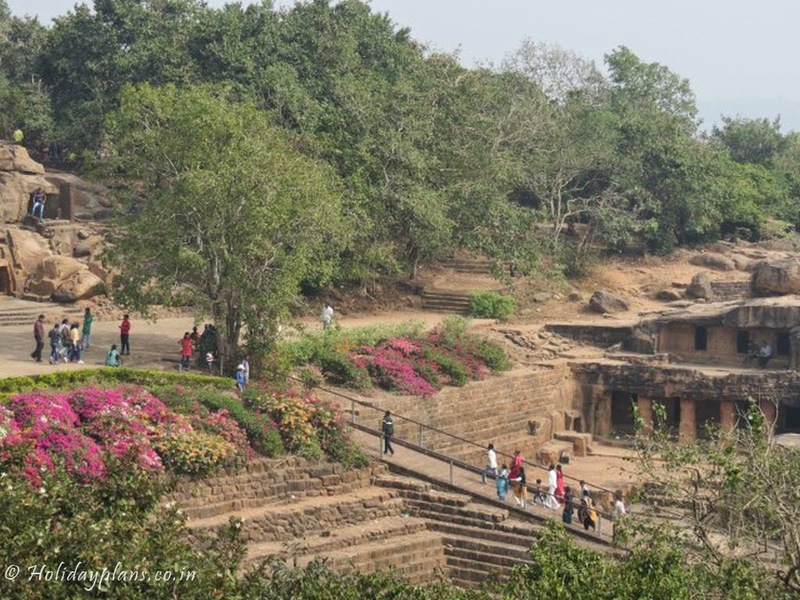 To book a customised tour to Bhubaneshwar (Odisha), feel free to get in touch with us.